Nearly 40 years after his death, The King is as much a part of American culture as he was during his lifetime, a true American Icon. 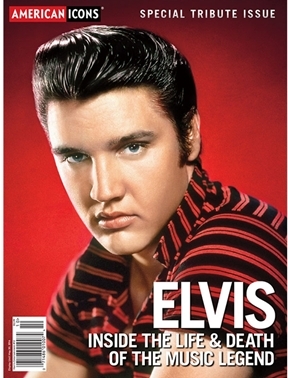 In Harris Publications’ special issue, we share an intimate look at Elvis, from his childhood in small-town Mississippi and his controversial rise to fame in the ‘50’s to his unlikely comeback in the late ‘60’s and his tragic last day. He was a teen idol. A legend. The King of Rock ‘n Roll. But Elvis Presley was much more than that- he was a complicated man riddled with insecurities and weaknesses despite his profound talent, wealth and fame. In photo-packed pages, we rediscover his movies and music and pull back the curtain on the women he loved and the demons that ultimately took him from us way too soon.